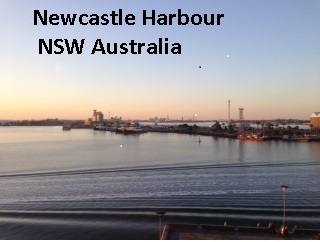 Over the last couple of weeks I traveled to our Australian office and visited our clients in Sydney and Newcastle to discuss their storage issues and strategies for the next couple of years. Almost all of our clients were discussing the Cloud storage pricing war between Amazon, Google and Microsoft and trying to figure out how to take advantage of the cloud for archival storage within their storage tiers. 2 cents a TB per month for cloud storage changes the dynamics of archival storage. Many of our clients in Australia need storage proximity so that they can take advantage of the bandwidth required to do their rendering or run complex algorithms for their modeling. The issue of storage proximity makes it hard to use the cloud providers for the majority of their storage requirements except as a replacement for archival tape. When the big cloud providers are offering a cost of 2 cents per TB per month the costs of a tape library, maintenance, licensing and offsite storage for archival data storage tapes is hard to justify when budgets are tight. And for this reason our clients are looking at moving archival tape assets to the cloud. Moving archival information to the cloud inevitably leads to finding an integrated and affordable solution to simplify the transmission and retrieval from the cloud. At three meetings last week we discussed the integration of Microsoft’s Storage Server R2 and their Azure cloud as an integrated Hierarchical Storage Management (HSM) strategy instead of tape. Our clients wanted to know if Zerowait had a pathway that could help them migrate their data and storage from NetApp to a combination of NetApp for their tier one storage and a High Availability SimplStor for their Tier two storage that could move data back and forth to the cloud, and reduce their storage costs substantially. Zerowait has a simple and affordable pathway to help our NetApp support customers slash their storage costs without affecting their storage availability. We can help our NetApp customers move their data to our SimplStor equipment running either Red Hat storage, Microsoft R2 or Solaris with ZFS, and if our clients want to move their archival data to one of the big cloud storage providers we can help our customers set up this service also. And finally when our customers old equipment is removed from service we will help our customers sanitize their legacy disks and dispose of their old equipment. It seems that at 2 cents a TB per month, the big cloud guys have gotten the attention of the big storage users and now the question is how to create a 3 to 5 years storage strategy to take advantage of this technological change. With this easy to understand strategy, Zerowait is providing our customers with an affordable set of solutions to help them meet their future High Availability storage requirements.